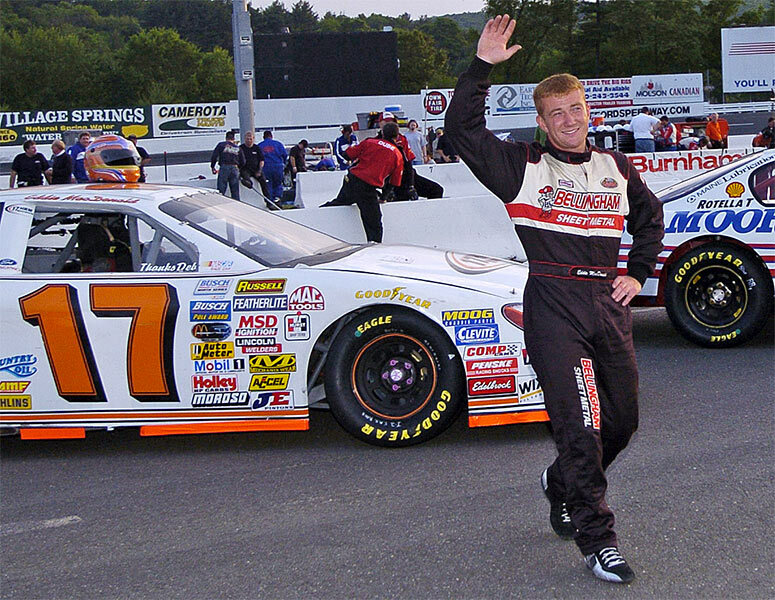 Eddie MacDonald’s eleventh place finish in the Aubuchon Hardware 150 at Stafford Springs Motor Speedway was satisfying after battling with a tight racecar. The HRM Motorsports Ford was tight in practice, qualifying, and during the race. 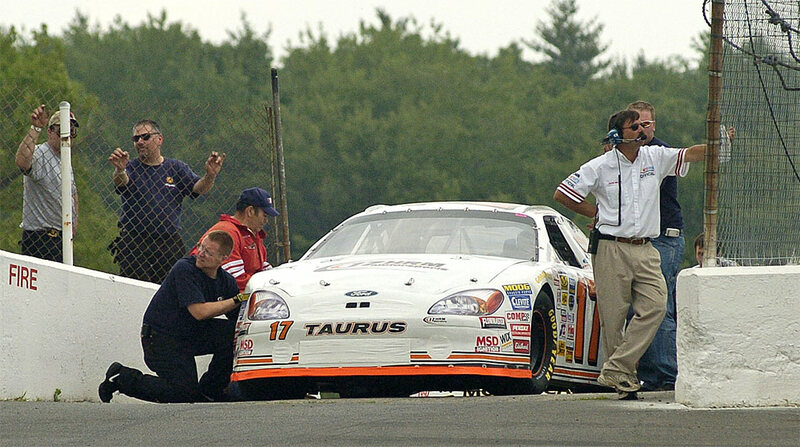 It was evident from the start of the race, the Rowley, Mass. driver had problems getting off the turns as the car continued to tighten up. Eddie was able to hold his position for the first 75 laps but the car began sliding up the track in the turns. A caution flag was thrown on lap 89 that brought a lot of cars to the pits for tires and adjustments but the HRM Motorsports team decided to stay out for track position. 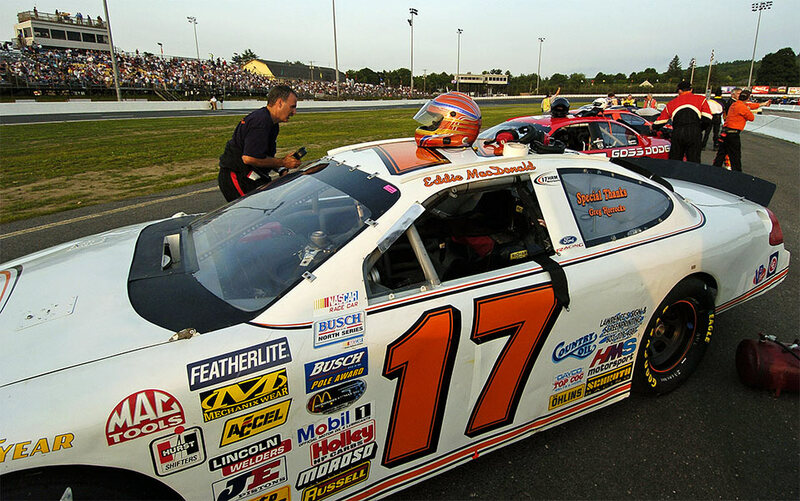 Eddie did restart in the third position behind Kelly Moore and Matt Kobyluck, both also choosing to stay out. The gamble did not pay off, as the car was just too tight, allowing cars with new right side rubber to catch and pass. 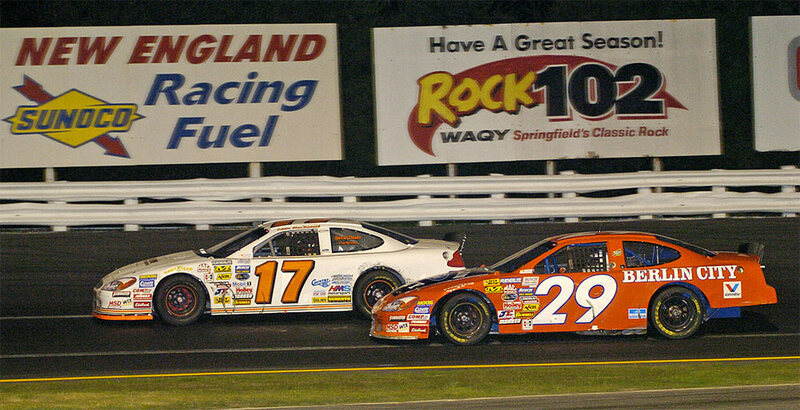 Eddie slipped to eleventh on lap 131 and was able to hold off the competition to finish the race. The team did move one spot to ninth in the point’s race but Eddie was pleased to stay in the top ten. 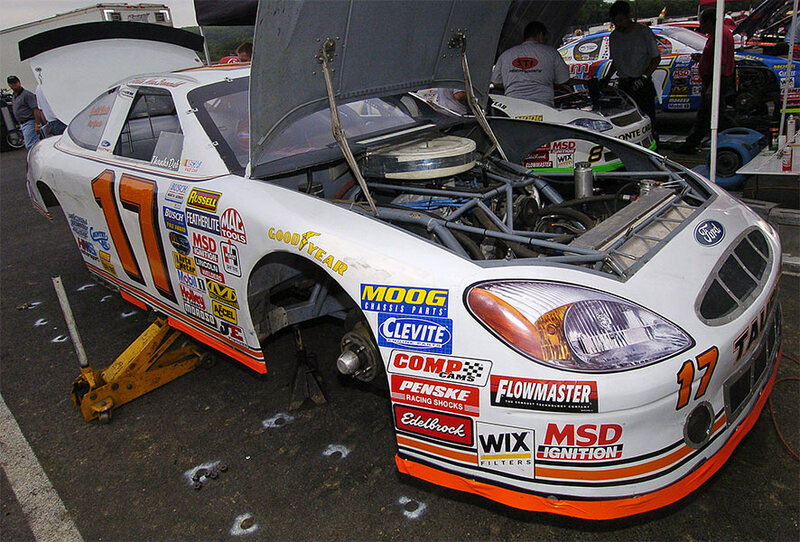 “The car was way to tight and then at the end the brakes went away so finishing 11th was good,” said Eddie who was already making plans for next week’s race at Holland. “ We are looking for a good run next weekend. Holland is a fun little track and we enjoy going there. It is the type of track we expect to do well on,” said the upbeat driver. 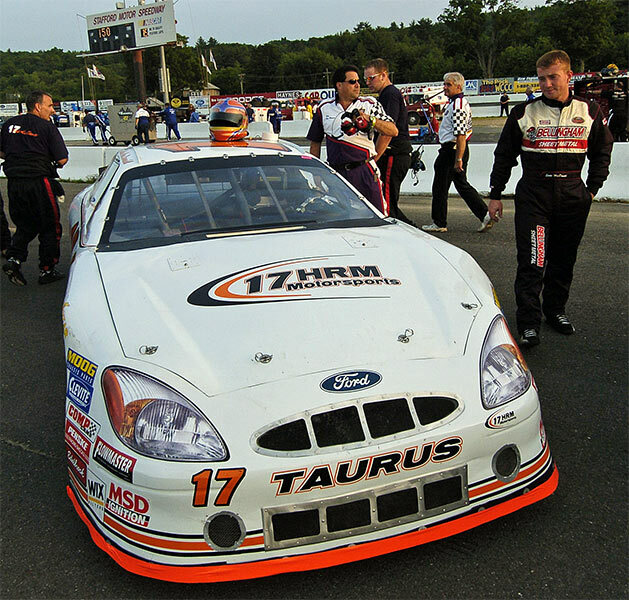 Look for the # 17 Ford to rebound in next Saturday’s 150 lap race on the 3/8th mile oval at Holland International Speedway in Holland New York.